Identity is important. In a world in which you are allocated only a couple of seconds to make a great first impression, the ability to catch your audience’s attention and engrave your message is vital. You may have a very complex business identity or lengthy list of services, but most people do not have the patience to read biographies. Unless they work for the CIA, most people will only remember a small part of what you want to express. 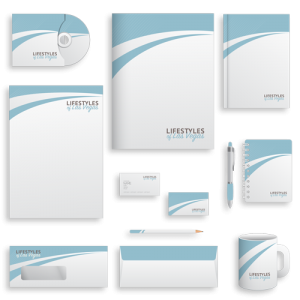 So having a logo, brand message and identity that represents you will help drive that message home. Your brand identity is message about what you represent. Under our umbrella of brand research and knock-out branding services, we can help you create your identity and push it out to the right people who will take interest in it. Because creating an effective brand which passes the test of time is never an overnight job, we go through several stages with our branding services. Strategy and implementation are essential stages to brand awareness which precede and follow the design itself. Along the way, planning is mandatory and we take pride in having a very efficient “algorithm” which leads to the best imaginable results. As a newly launched brand is a bit vulnerable, and needs time to grow, we are here to help by analyzing feedback from various demographics and adding a little fine tuning if needed. Helping a brand achieve maturity and becoming a landmark in its niche is what we believe in. Great branding is not just about impressing people on a visual level. Great branding inspires action and triggers a powerful connection through an emotional level. When it comes to identity, your logo is the prime representative of who or what you are. It is meant to act as your welcoming party. 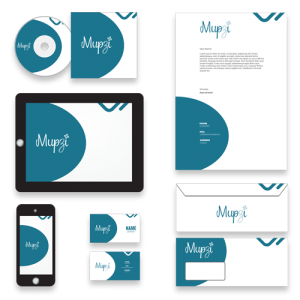 It needs to display the unique identity of your company, or product, through fonts, colors and images, while working together to amplify what your core brand truly represents. Without a logo, or with a logo that appears amateurish, you may turn people away rather than attract them. Your logo does not, and generally should not be too busy, however, the message in the forefront should be clear and easy to understand. Simplicity often works great for logo design, as people do not have time to decode your meaning or guess what your are trying to say. A message that is simple and easy to understand, but powerful in meaning can be the difference between your brand and another. We make sure that the process of putting together the perfect message is not a rushed decision. Your logo will make a bold statement about what your values and traits are while making you stand out from the crowd. We would love to go over what brand services might be right for you. Contact us today to set up a free consultation! Identifying and improving your appearance to the outside world is one of the most important steps you can take to growing your business. We understand how important that crucial step is and go to great lengths to achieve perfection. We are more than happy to set up a free consultation to learn more about you and what you want the outside world to see. Contact us today to learn more!